Harsha S Post Graduate Scholar, Department of Post Graduate Studies in Shalakya Tantra, Sri Kalabyraveshwara Swamy Ayurvedic Medical College Hospital and Research centre, Bangalore, Karnataka, INDIA. Mamatha K V Reader & Guide, Department of Post Graduate Studies in Shalakya Tantra, Sri Kalabyraveshwara Swamy Ayurvedic Medical College Hospital and Research centre, Bangalore, Karnataka, INDIA. The optic nerve carries visual information from your eye to your brain. Optic neuritis is when your optic nerve becomes inflamed. Optic neuritis can flare up suddenly from an infection or nerve disease. The inflammation usually causes temporary vision loss that typically happens in only one eye. Those with Optic neuritis sometimes experience pain. As you recover and the inflammation goes away, your vision will likely return. There are no direct references in our classics regarding optic neuritis but can be contemplated as a condition by name Parimlayi Timira. The specific management as such is not cited but a transcendence approach can be done with adopting the treatment which has the ability to pacify the already occurred pathology and prevent the further development of the disease. One such interesting case study on Optic neuritis is elaborated here where in specific treatment modalities (Shodana, Shamana and Kriyakalpas) played role in pacifying the condition. S, Harsha; V, Mamatha K. MANAGEMENT OF OPTIC NEURITIS IN AYURVEDA - A SPECIAL CASE REPORT. 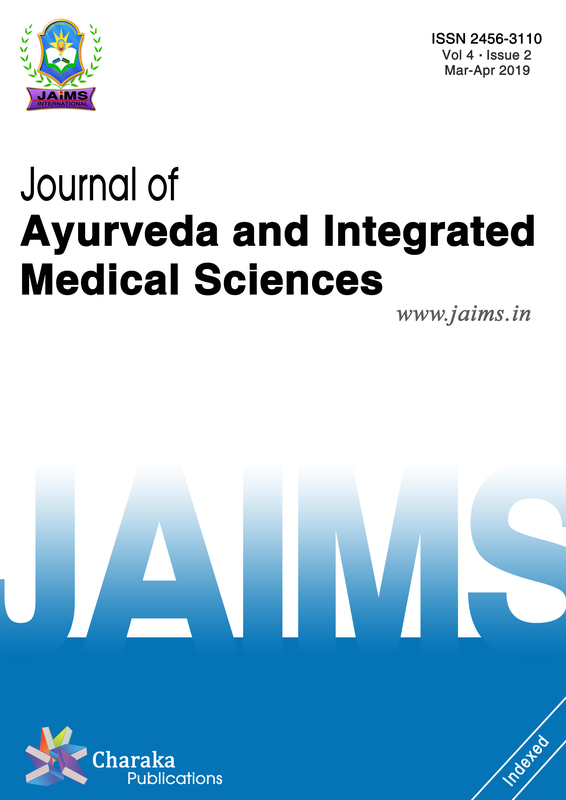 Journal of Ayurveda and Integrated Medical Sciences (ISSN 2456-3110), http://www.jaims.in/index.php/jaims/pages/view/Citation, v. 3, n. 5, p. 215 -221, nov. 2018. ISSN 2456-3110. Available at: <https://jaims.in/index.php/jaims/article/view/713>. Date accessed: 25 apr. 2019. doi: https://doi.org/10.21760/jaims.v3i5.13847.